It's both surprising, and not considering the spectacle it became, that over 100 years since Lizzie Borden was tried and acquitted of killing her parents, her story is one we keep going back to. Books, movies, series (most recently the rather good "The Lizzie Borden Chronicles" starring Christina Ricci as Lizzie) and now we're getting yet another take on her story; this one at the hands of Craig William Macneill who made his feature debut a few years back with the horror movie The Boy (trailer). 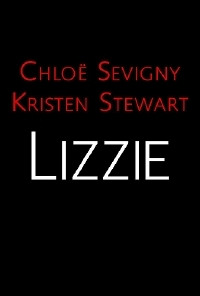 Lizzie stars Chloe Sevigny as the titular Lizzie Borden, and Kristen Stewart as Bridget Sullivan, the housemaid working for the family at the time of the murders and a key witness at Lizzie's trial. The film, written by newcomer Bryce Kass, appears to cover both the period leading up to the murders as well as the investigation after the fact. I really like the tone of the trailer and the promise of solid drama to come through the true appeal here are the actresses, both of whom are superbly talented, working together. It doesn't hurt that the trailer is pretty intense which, I hope, continues into the movie.